Pdf documents make us reading simply and we want to edit that files some times. Editing in Pdf files is a most hard work that is not supported in Pdf readers. Some Pdf files are restricted with passwords you have downloaded from internet. So we need for a converter to convert to other formats with editable options like word, text and so on. Most of the Pdf converts on the internet are the paid softwares. 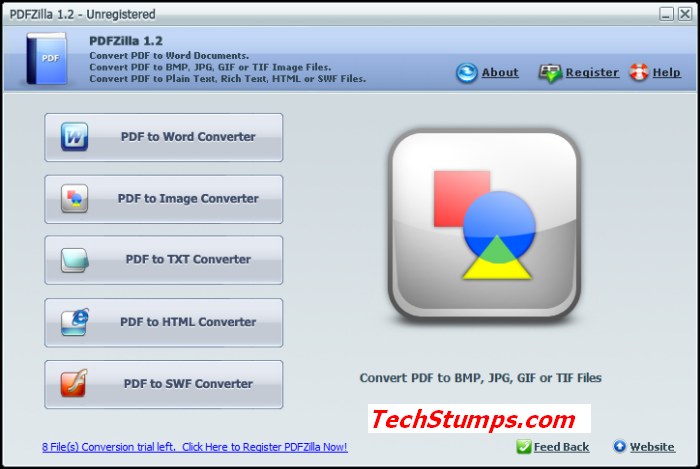 PdfZilla Converter is the all in one converter for Pdf files that converts to so many formats. It does Pdf converting jobs very well and user friendly and supports more than 20 languages. Basically this is not a freeware its original price is 49.95$. Now PdfZilla Company offers a promotional giveaway to get this full licensed Pdf converter software for free to all. • Convert all pages or selection of pages only. • Convert Pdf files to Text formats then you can modify the data. • Supports Batch Mode to convert more files at once. • Converts graphical data with high quality. • Supports more than 20 languages. How to get PDFZilla Free with Full License? 1. 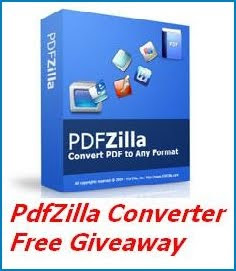 Go to this PDFZilla promotional giveaway page and download the software. 2. Install the downloaded software and open it. Then click Register link to register your PdfZilla Software. The registration key is "AQ1W6F0ZN7Q9D85" listed on their site. Copy this code and paste to activate it into full version. That’s all. Enjoy with free PdfZilla converter to convert Pdf documents. Useful post. I am looking for pdf editor for free. I tried many top listed bu they have limitations. Please suggest one.